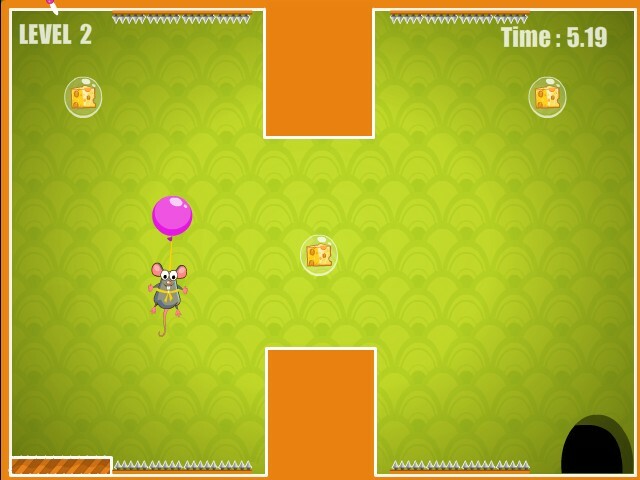 Skill Physics Now Gamez Click to find more games like this. 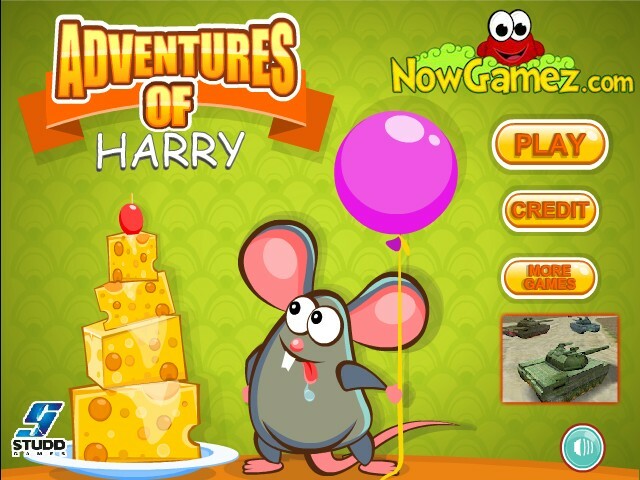 In Adventures of Harry, your job is to guide Harry the mouse through 30 levels. 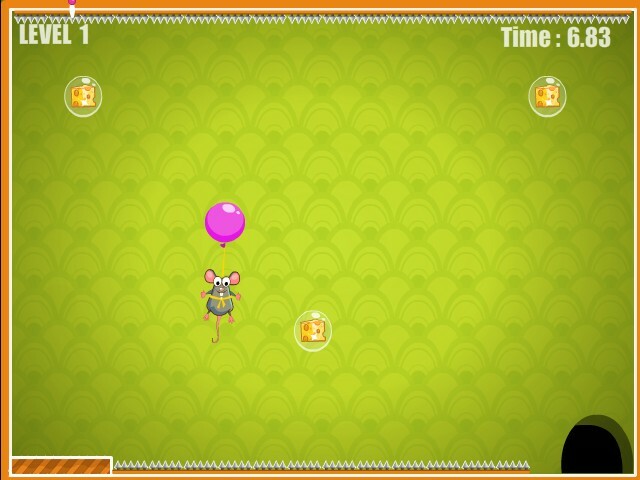 Use the propeller by pressing the left mouse button to let him fly. 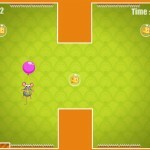 Collect all 3 pieces of cheese in order to submit your fastest time. 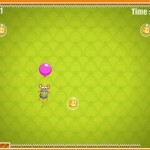 Watch out for the sharp obstacles that can pop the balloon. 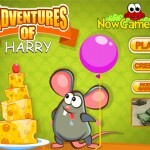 Nice cartoon style graphics and 30 challenging levels. Click the left mouse button to use the propeller.